Get Started Now! Get Started! 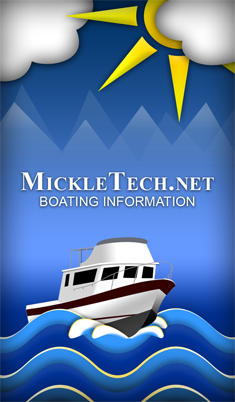 The goal of the Boating Information web application is to provide a centralized source of information to assist boaters in the planning of their next excursion. It gathers information from a variety of sources on the web and displays it in an easy to navigate interface. The layout of the interface has been designed for the Android and Apple mobile device browsers with large buttons for easy finger taps and minimal graphics for faster load times over a cellular network. Although the application has been optimized for the iPhone's browser and screen, it can be viewed in other mobile browsers with varying functionality. The application currently contains information for the Alaskan communities listed below. If your community is not in one of the coverage areas, you may submit a request using this site's Contact page. Once a request has been received, it will be evaluated and added as time allows. There is no guaranty that a requested community will be added. One feature that you may find useful and is not obvious, is the ability to cache tidal predictions to your device. When you view tidal predictions for any given day, that information is automatically saved to your device. This allows the application to display the tidal data much fast since it doesn't have to retrieve it from the server every time you want to view it. Copyright © 2019 - MickleTech.net - All rights reserved.